Unfortunately we are postponing the competition date from 20th February to sometime in May (details will be released in due course). We appreciate this was a call made at short notice but we felt we needed to move the date to ensure a good competition could be had. The yet to be proposed new date will still enable us to enter the winner(s) into the national competition held by RAeS HQ. 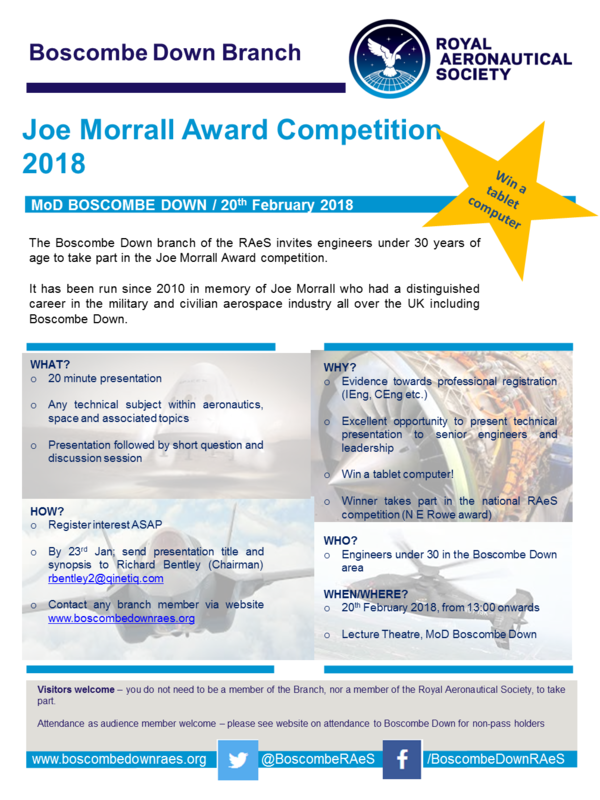 For more information about the Joe Morrall competition please visit the competition page here or contact any branch committee member.